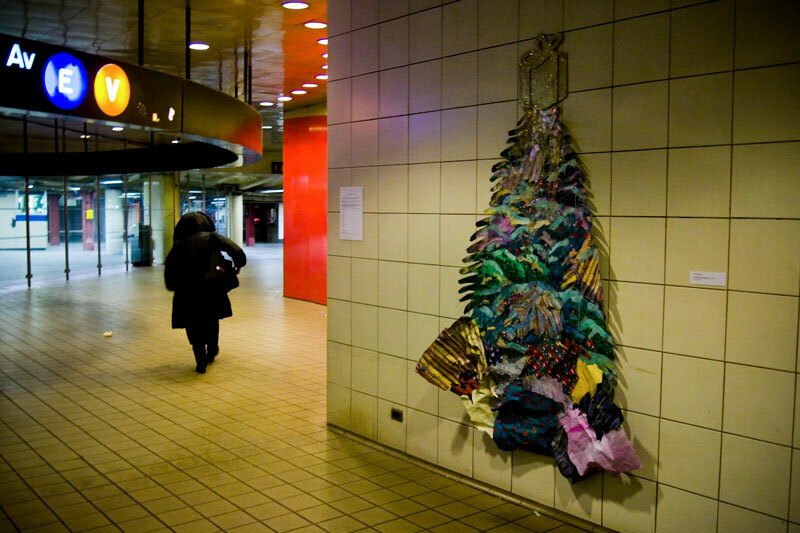 Holiday Gift to New York was a renegade public art installation mounted in the 53rd/Lexington Subway Station just before Christmas. 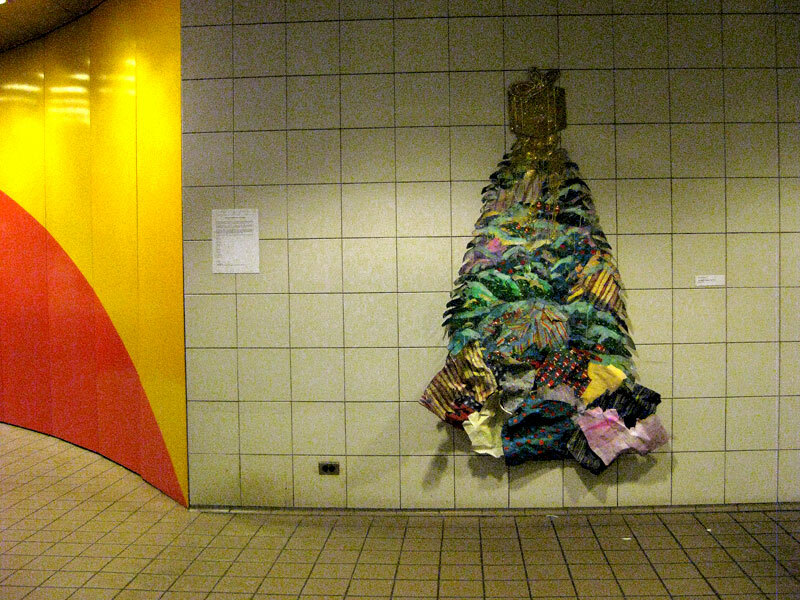 The project was organized by Mat Benote and Jordan Seiler with the goal of offering harried last minute shoppers an alternative to a dreary subway hall and the usual barrage of advertising. Paint, recycled paper bags, glitter.